Alpha Kappa Alpha Sorority Incorporated was founded by African-American women, and its members have dedicated themselves to community service since 1908. The Psi Chi Omega chapter, located in Lincoln, is committed to their platform to Take Action (Advocate, Communicate, Train, Influence, and Network), which is what led them to volunteer with Nebraska Appleseed. 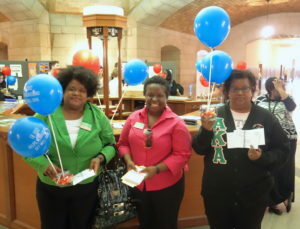 Members of the Psi Chi Omega chapter of AKA delivered balloons to State Senators during a Medicaid expansion advocacy day. 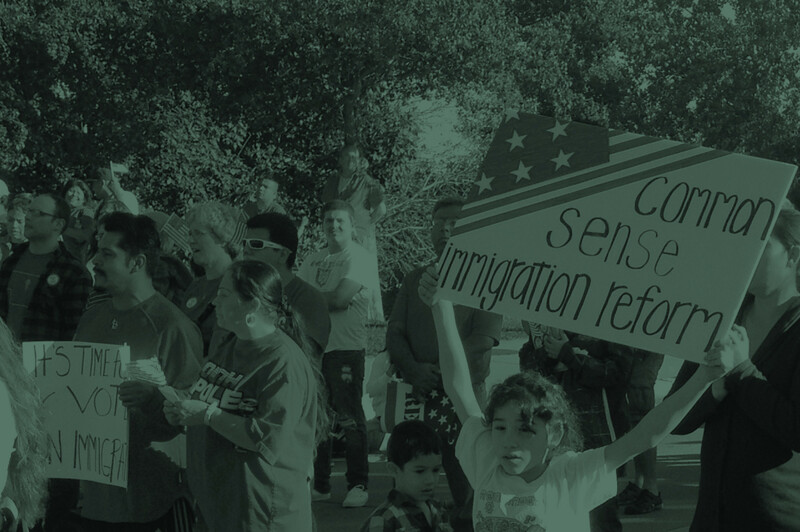 AKA’s connection with Appleseed has grown through their advocacy for improved voting rights and access to quality health care for all Nebraskans. Charlotte Duncan-Wagner, the AKA Nebraska State Connection Coordinator, explained that she has a personal connection to the issue of Medicaid expansion. Her 26-year-old son, who has asthma, will age out of her insurance in December and is unable to afford private health insurance. She said as she learns more about this issue, she shares her son’s experience with others who have a different viewpoint. On March 30th, AKA collaborated with Appleseed for the AKA Day at the State Capitol. Appleseed’s Rachel Gehringer-Wiar, Kait Madsen, and Selina Martinez organized Advocacy Training 101 workshops on how to find and contact your State Senator. The Psi Chi Omega chapter also will focus on voter registration efforts to train and educate eligible voters about the importance of civic engagement in this election cycle. They are part of a local group in Lincoln working on voter engagement for the general election this year. AKA is coordinating to help many barbers and hairstylists become trained as deputy registrars so they can hold educational workshops at community businesses and encourage their patrons to vote. AKA’s contributions to the community span further than Appleseed. Last year, they helped Lincoln’s Malone Community Center provide more than 300 backpacks stuffed with school supplies for the Back to School Jam, and they adopted Lincoln’s Peter Pan Park as part of their mission of environmental ownership. With 11 Best of the Region awards won in 2016, the Psi Chi Omega chapter is deservedly recognized as a leader in efforts to strive for civic engagement and positive change.